Miyajima has many places worth exploring, making this island a great daytrip destination from Hiroshima. Here are a few places that you shouldn’t miss while you are on this beautiful island. Itsukushima Shrine is the most prominent sightseeing spot on Miyajima. It’s widely regarded as one of the most beautiful places in Japan, and when you see the reflection of the majestic torii gate reflected in the water at high tide, it’s not difficult to understand why. The first shrine buildings are believed to have been built here back in the 6th century, although the current shrine dates from the 16th century. It consists of several buildings, including the iconic torii gate, the shrine building itself, as well as a Noh stage built in 1605. 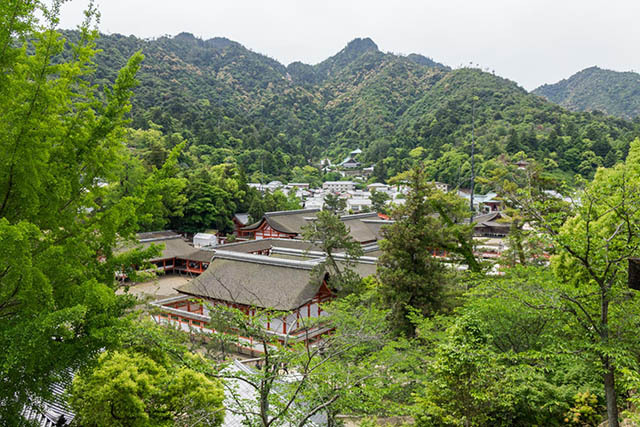 The entire shrine complex is a UNESCO World heritage site, as well as a Japanese National Treasure. An impressive hall that was built by Toyotomi Hideyoshi back in the end of the 16th century. The name Senjokaku is colloquial and literally means “pavilion of 1000 mats”, and refers to the huge size of the building. Its official name is Toyokuni Shrine. The interior is open and there’s not much blocking the air from flowing through it, making it an excellent place to cool down during hot summer days. Another standout feature is that that most of the structure is unpainted, making it extra valuable for researchers studying the effects of wear and tear from nature during the years since it was built. A 100 yen admission fee is charged to enter the structure. Behind the shrine you’ll find a beautiful park called Momijidani. The name means “Maple valley”, and once you reach it you’ll immediately understand why. Countless maple trees are located here, as well as a few smaller shrines and a cozy little café with a large outdoor garden. This part of the island is far less crowded than the temple and shopping street near the ferry port, so it provides a good place to head to if you’re looking for some peace and quiet. 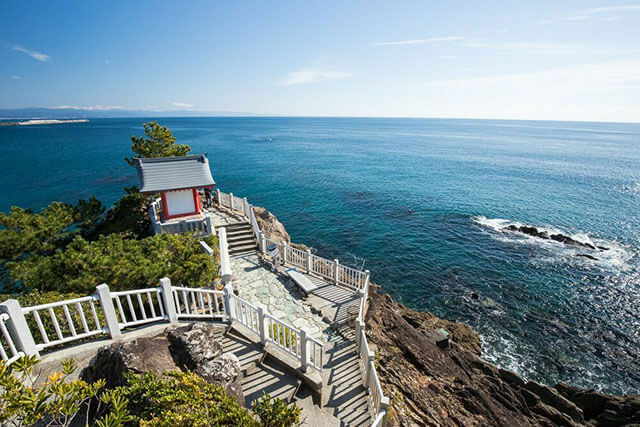 If you are fit and don’t mind spending more than just a few hours on the island, the walking trails that start at Momijidani and lead all the way up to the summit of Mt. Misen are worth a shot. There are a few different trails, taking slightly different routes, but they will all take you up to the top. Expect the hike to take around two hours. 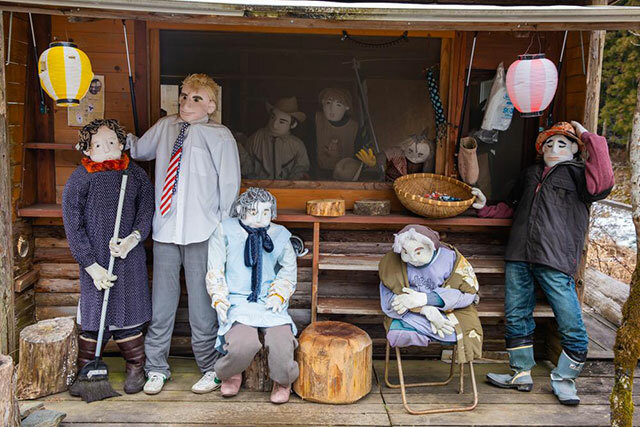 Since Miyajima is one of the major tourist destinations in Japan, it shouldn’t come as a surprise that there are countless shops selling souvenirs, some of which are more interesting than others. Most of these are located at the street that leads from the ferry port to the big torii gate. Besides souvenir shops, this area also has plenty of restaurants and several street food vendors, as well as some cozy cafés.